My escape is a warm weightless cocoon. I sink and disappear completely from the realities that nip at my consciousness. Steam spreads shivers along my spine and pours out with a fog, masking the harsh world. I nod while adream. I will grasp my illusion of serenity with both pruned hands until there is no hot water to be had. My drug is this liquid grace that holds me safe and happy and hidden away for as long as I like. 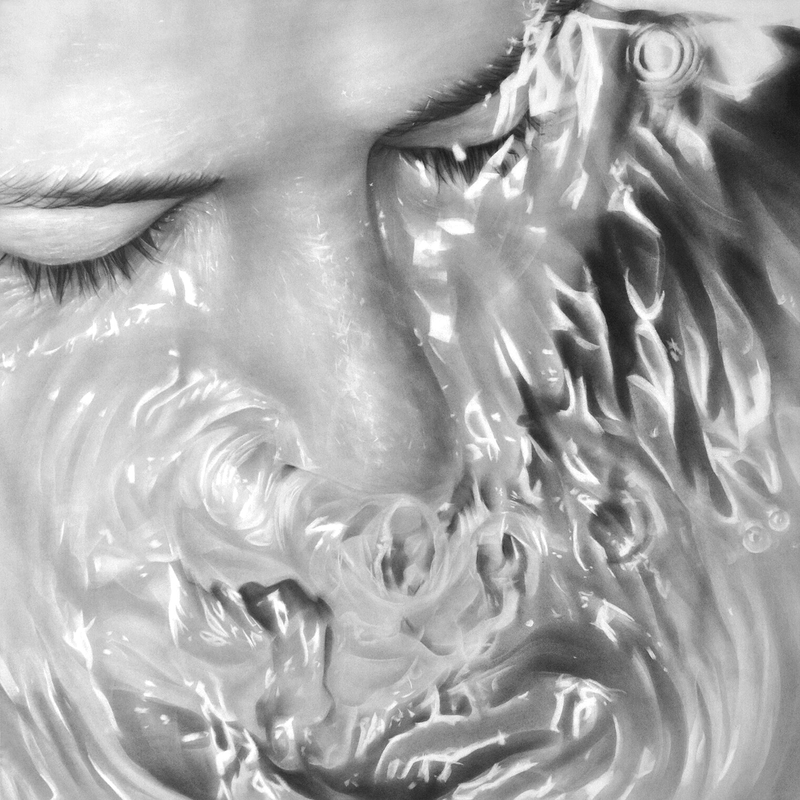 Amazingly, the art is not a photo but a graphite drawing done by Melissa Cooke. Wow! Glad you clarified on the drawing. I wouldn’t have guessed that! I have such a soft spot for art! I love the ones you choose. Thanks! It’s one of my favorite hobbies. If soaking were a hobby. Lol! Really nice imagery as usual. I don’t see the images on your actual posts so I’m always left to conjure up my own and they’re always extremely vivid such is your descriptive writing talent. For some reason you don’t see them on the post itself. You do on the list of blog posts though which is rather odd.